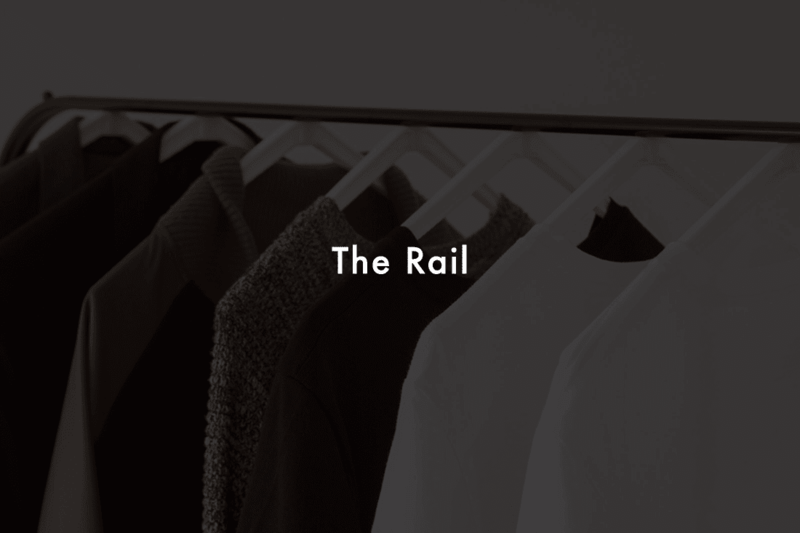 The chino is perhaps one of the most prominent figures in the modern mans wardrobe. Versatile, timeless and effortlessly stylish, the trusty cotton trouser is an absolute must-have. Decide to choose a pair with colour, and you give a classic piece a brilliant contemporary twist. Although khaki dominates chinos when it comes to colour, perhaps the second most common colour of chino is navy, and the navy chino is always a solid choice of trouser for both smart and casual occasions, depending on how you dress them. 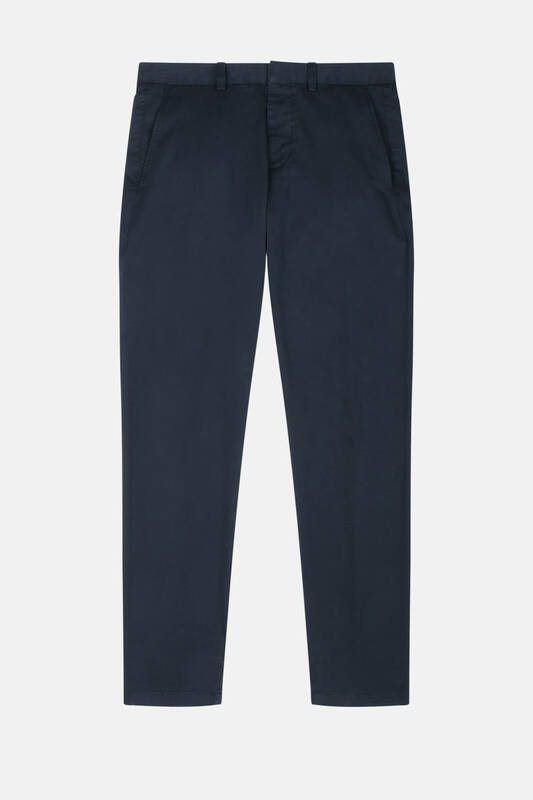 Pair the Navy Chino Trousers from AMI (£165) with just about anything white for a solid base to a stylish outfit. 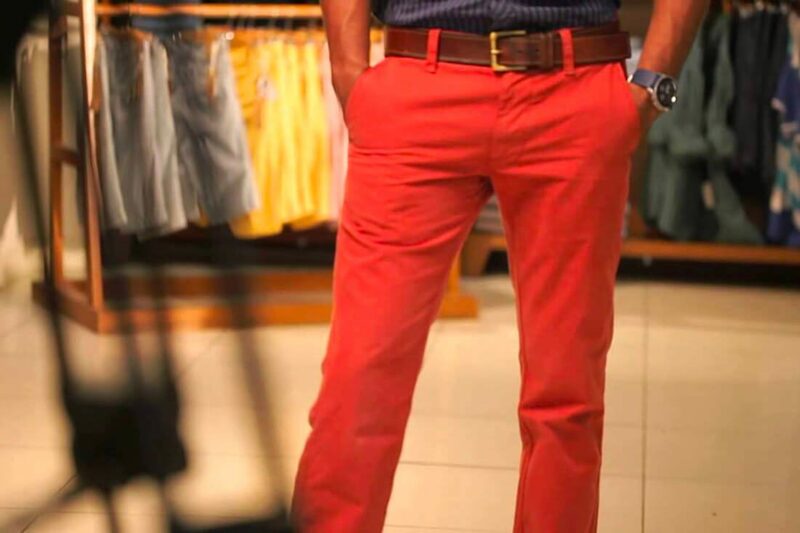 Chinos with more outlandish colours are also available in abundance.For example, wear a red pair of chinos with a black bomber jacket to make more of a statement, or even a green chino with a pair of modern Nike or Adidas trainers for a bit of a “it’s crazy but it might just work” look. 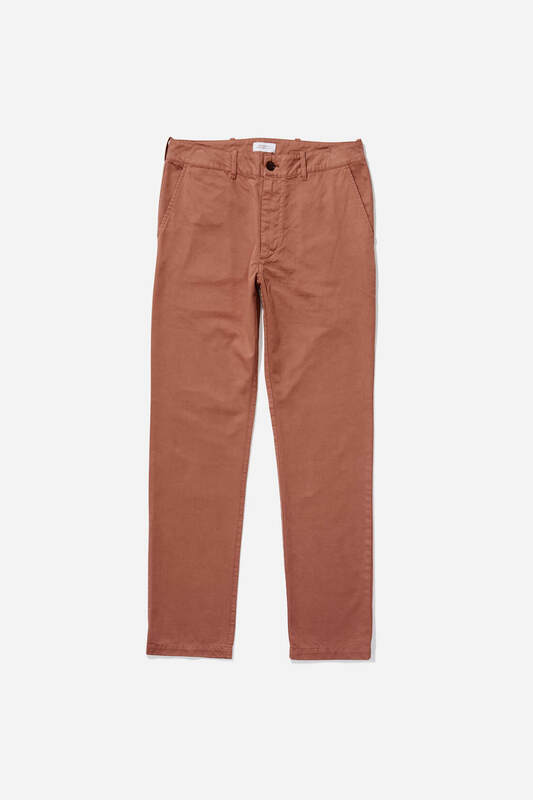 Pastel shades rarely look out of place on chinos, and the Bronze John Chino from Saturday’s NYC (£111) showcases how a coloured chino can add character to an outfit without looking too flamboyant. Okay, so black is technically a shade rather than a colour, but since it’s not khaki, it still counts as a coloured chino. Black chinos are another safe-ish option, perhaps due to their similarities with the ever popular black slim or skinny fit jeans, yet with added comfort or space. 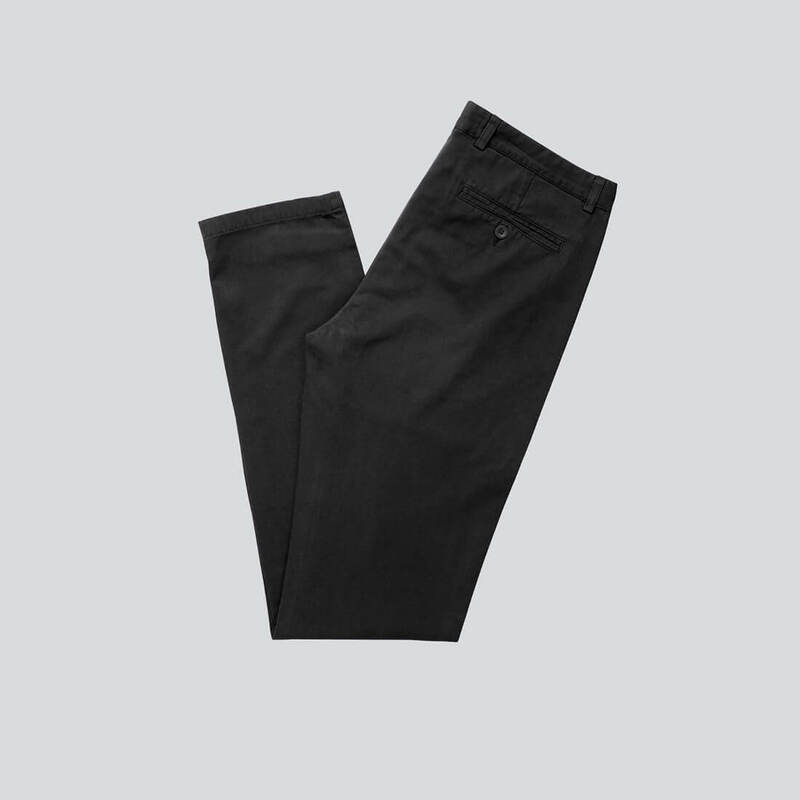 The Slim Fit Black Chino from A Day’s March (£75) is the perfect base for any casual outfit.